If you choose to believe in the predictions of groundhogs, we are in for another six weeks of winter weather. 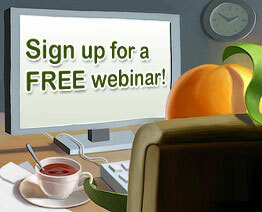 So why not stay inside and check out some of the insightful free non-profit webinars that are available in March. We’ve found 28 webinars on topics such as: leadership coaching; using content to boost donations; building staff buy-in for volunteer engagement; fundraising on a shoestring; "Maximizing Millennials"; and much more. Take a look through the list of webinars below and share this with your friends and colleagues. If we’ve missed a free nonprofit webinar, please add a brief note in the comments section below. If you have any questions, be sure to ask them in the Q&A session at the end! Learn the characteristics of effective nonprofits and assess whether yours is ready for foundation fundraising. This Foundation Center webinar is designed for new nonprofits or community groups with very little experience in grantseeking. We focus specifically on foundation fundraising. Are you a representative of a nonprofit organization? Are you new to fundraising? Do you want to learn how the funding research process works, and what tools and resources are available? Learn how to become a better grantseeker in this Foundation Center webinar. This session will cover: what you need to have in place before you seek a grant; the world of grantmakers; the grantseeking process; and available tools and resources. Content! Content! Content! If those three words give you mixed feelings of fear and excitement, you’re not alone. Creating and sharing content is all the rage with digital marketers, but many nonprofits aren’t sure how to get in on the fun. That’s where nonprofit marketing whiz Taylor Corrado of HubSpot comes in. Join her in this Network for Good session to find out how making content can help you raise awareness for your cause and how doing so can boost your donations. At VolunteerMatch we have a unique view into what volunteers are looking for in an opportunity. The age of one-size fits all volunteer engagement is coming to an end. This webinar will start with a review of some of the things that we know about what volunteers are looking for in an opportunity. It will then help you use this information to start designing volunteer opportunities and determining who is the “right” volunteer for your program. You’ll also learn how “word of mouth” plays such a large role in attracting volunteers to your organization and how social media makes this even more important. This is a great introduction to some of our more advanced webinars including Where do I go from here? Engage Volunteers in New Ways, and Developing a Strategic Plan for Volunteer Engagement. Is Leadership Coaching Right For Us? Professional leadership coaching is becoming increasingly familiar to—if not yet commonly used in—the nonprofit sector. While some very small organizations may indeed not able to afford leadership coaching, many more nonprofits may decline to use coaching mainly out of uncertainty about whether coaching is really an investment that meets their needs. This webinar answers such questions as: What is coaching, particularly leadership coaching, really like? How exactly does it benefit the client? When is coaching an effective approach to enhancing leadership capabilities? What criteria should we look for in a coach? How do we ensure our organization gets the maximum benefit from leadership coaching? Understanding of the nature of professional coaching, particularly focused on leadership effectiveness. Clarity regarding the distinctions between coaching and other techniques and approaches for leadership development. Guidelines for evaluating an organization’s readiness for leadership coaching and for selecting the right coach. Fundraising: the business function that nonprofit professionals love to hate. Why? Without predictable, consistent income growth, charities struggle mightily to fulfill their missions and achieve their visions. Yet the data show income growth for most charities is sluggish or worse, in spite of the onslaught of new technologies, training programs, and graduate schools offering advanced degrees. Maybe it’s time to do something different: to look at the way fundraising is managed, not just the way it’s done. What's Lean Startup, and why all the fuss about it? How you can get started! Is your organization open to engaging volunteers in new ways? Often one of the biggest challenges to a new model of volunteer engagement is the resistance of paid staff. Often attitudes and fears of our co-workers prevent us from expanding the work that volunteers do. But, if you've never worked with volunteers before, it can be scary. In this webinar we'll discuss strategies for working with paid staff to engage volunteers. This VolunteerMatch webinar will cover what you can do to alleviate some of those fears, strategies for working within a Union environment, and how you can train and support your coworkers as they become responsible for managing volunteers. Are you trying to fundraise on a small budget? Get tools and tricks you can use to help make the most of your nonprofit dollars! Finding grants (for free!) and more! And we'll talk about a new fundraising resource! Are you engaging volunteers with an eye to the future? Do you know what your volunteer program should look like in 3 or 5 years? Join us as we talk about the fundamentals for creating a strategic plan for volunteer engagement for your organizations. This VolunteerMatch webinar will include components that should be included as well as ideas for working with organization leaders to include strategic goals for volunteer engagement in your organization's overall strategic plan. While each board situation is unique, there are common challenges facing the conduct of effective nonprofit board meetings. These challenges include board size (typically 10, 12 or more), use of time, decision-making, and ability to keep members engaged and committed to the work. In this session I share a number of tools that can help boards have more effective meetings. These tools help you structure the meeting and do not require special training or facilitation skills. You can use them to improve your very next board meeting. Conduct more efficient and effective board meetings. Create meetings that build broader commitment to decisions. Achieve broader engagement and follow-up. Need an interpreter to connect with your younger employees? You want to manage them well but you may be baffled by their behavior choices. 1) Need a lot of support with time you don’t have to give? 2) Want to be recognized for showing up to work? 3) Not live up to your standards of professionalism? 4) Expect now what it took years for you to achieve? Come learn how you can be successful managing your twenty-somethings at this 4Good webinar. You can get the work product you need to succeed if you understand why Gen Y is different, their motivations, and what you can do to manage them well. You want to share the impact volunteers have in your organization and in the community, but often the information you track doesn’t help you tell that story. This VolunteerMatch webinar will help you move past number of volunteers and number of hours and start telling the real story. You'll learn about information gathering and the key components to good storytelling, how to evaluate your current measurements and how to build support for a more thorough measurement and evaluation program, and how to engage other staff – paid and volunteer – in this work. You'll also receive a worksheet to help you begin to tell the story of volunteer impact in your organization. What type of information is compelling to prospective volunteers, existing volunteers, organizational leaders, and supporters, donors and clients? How to use this information to create a powerful story about the impact of volunteers in your organization. How to create a plan for gathering and compiling information about your volunteer engagement program and using that to tell a compelling story about volunteer impact. How long do volunteers usually stay with your program? Do you struggle with keeping them interested, involved and engaged? This VolunteerMatch webinar will help you think about new strategies and help you evolve your program to include new roles and responsibilities for volunteers, pathways for more involvement and leadership positions in your program, how recognition plays a role in retention, and the importance of including continuing education and professional development to keep your volunteers engaged. Tools to help you evaluate your program implement new ideas will be provided. Organizations are recognizing that the old ways of doing business don’t work in this changing world. The good news is that today’s volunteers are interested in opportunities to help organizations innovate and pilot new ways of doing business. This VolunteerMatch webinar will explore how to engage volunteers as leaders of change. Learn where your organization is in its lifecycle and gain an appreciation for the importance of innovation in organizational sustainability. The webinar will also feature strategies for supporting volunteers and holding them accountable for change. Strategic planning should be a means not only to produce a strategy, but also to engage and cultivate stakeholders, develop leadership, and generate new energy, commitment and consensus around mission. Its primary product is not a written plan, but strategic thinking within the organization, which is achieved through a process of planning followed by a process of implementation. A well-conceived and managed planning process can be the most effective form of organizational development. You’re probably already familiar with the idea of a donor funnel, going from awareness to loyalty. But how does this work with social media and e-mail marketing? This 4Good webinar will show you step-by-step how to create an online fundraising strategy using a donor funnel. You will learn how to connect the stages donors go through in their mind with the strategies to engage your network, acquire emails, nurture leads, and increase donations. Great leaders make relationships a priority. This workshop, based on the work of Dr. Jean Baker Miller, Dr. Judith Jordan and others, focuses on the components of Relational Cultural Theory. Relational Cultural Theory "is not forming a separated, independent self, but rather the ability to participate actively in relationships that foster the well-being of everyone involved (i.e. growth-fostering relationships." The theory teaches the source of human suffering is isolation and that the end to isolation is the creation of relationships and establishing high quality connections. Learn in this session the components of the theory to build lasting connections within your teams, organizations and communities. This round-up of free non-profit webinars is a regular monthly feature compiled by the Wild Apricot Blog. You can subscribe by RSS to get updates by email, so you’ll be sure to catch next month’s webinars, as well as other great resources for associations and non-profits. Do you have a webinar you’d like to include next month? If your organization offers a free webinar that would be of interest to non-profit, membership or volunteer-based organizations and you want to include it in next month's post, please email a brief overview (like those above) to lori@wildapricot.com no later than March 17th. And, as always, if you know of a free webinar that we've missed for this month -- please share the details with us in the comments below.